With the busy hustle and bustle of the Holiday Season it's always nice at the end of the day to sit back and relax with a nice glass of milk and some cookies. 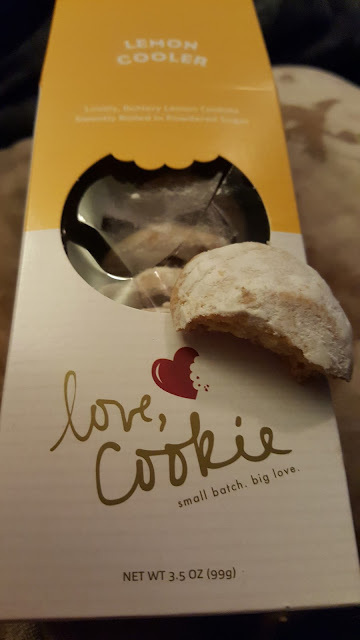 My Husband loves cookies, cakes and any baked goods so these were a huge hit with him. 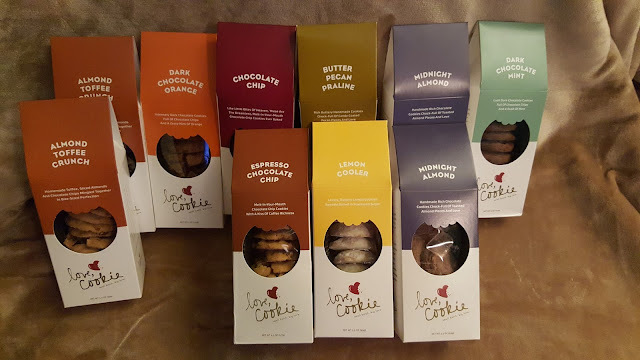 Love,Cookie offers 8 varieties to choose from there is sure to be a cookie to please everyone. Made from only the finest ingredients available. 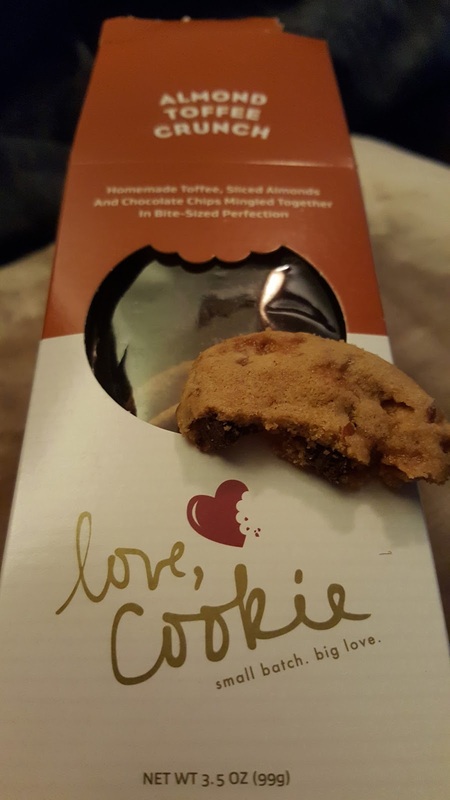 Almond Toffee Crunch, Espresso Chocolate Chip, Midnight Almond, Chocolate Chip, Lemon Cooler, Butter Pecan Praline, Dark Chocolate Orange and Dark Chocolate Mint round out the offerings of delectable cookies that are so good, they can pass for homemade. Handmade in small batches by Baker Maid, a fourth generation, family owned New Orleans-based confection company known for its cookies and cakes. Each box is affordably prices at $3.99 and can be found throughout the Gulf South region in supermarkets or ordered online. Our favorites include: Almond Toffee Crunch (Hubs), Dark Chocolate Mint (B) and Butter Pecan Paline (Me). They are all delicious, these just became instant favorites! These make a great hostess gift for the Holidays or anytime!